While plain X-rays are useful imaging tests for evaluating a wide variety of health problems, physicians often need more sophisticated medical imaging exams to help them determine the cause of a patient's symptoms. 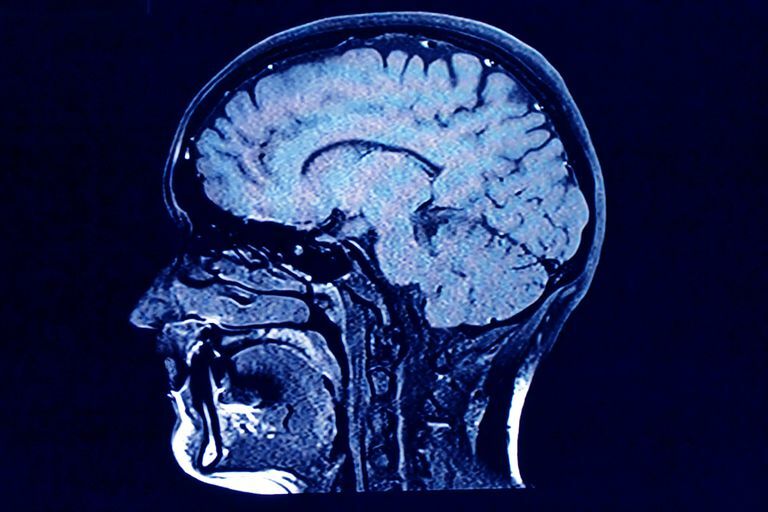 Computed tomography (CT) and magnetic resonance imaging (MRI) can be used for diagnostic and screening purposes. In both tests, the patient lies down on a table that is moved through a doughnut-shaped structure as images are acquired. But there are significant differences between CT and MRI. In a CT scan, the X-ray beam rotates around the patient's body. A computer captures the images and reconstructs cross-sectional slices of the body. CT scans can be completed in as little as 5 minutes, making them ideal for use in emergency departments. A CT exam is also used to guide the placement of the needle during a biopsy of the lungs, liver or other organs. In certain cases, a contrast dye is administered to the patient to improve visualization of certain structures during the CT scan. The contrast can be given intravenously, orally or via an enema. The intravenous contrast is not used in patients with significant kidney disease or an allergy to the contrast. CT scans use ionizing radiation to capture images. This type of radiation causes a small increase in an individual's lifetime risk of developing cancer. The response to ionizing radiation varies between individuals. The radiation is riskier in children. For example, a study led by Professor Mark Pierce of Newcastle University, UK, showed an association between radiation from CT scans and leukemia and brain tumors in children. However, the authors note that the cumulative absolute risks are small, and usually, clinical benefits outweigh the risks. Also, as technology has improved, the dose of radiation needed for a CT scan has been reduced. At the same time, the overall imaging quality has become better. Some next-generation scanners can reduce radiation exposure by up to 95 percent compared to traditional CT machines. They usually contain more rows of X-ray detectors and allow for faster imaging by capturing a larger area of the body at one time. For instance, CT coronary angiographies that scan the arteries of the heart can now take a picture of the entire heart in a single heartbeat if using the novel technology. Furthermore, radiation safety and radiation awareness have been widely discussed. Two organizations that work on raising awareness are the Image Gently Alliance and Image Wisely. Image Gently is concerned with adjusting radiation doses for children, while Image Wisely campaigns for better education about radiation exposure and addresses different concerns related to radiation doses of different imaging tests. Studies also show the importance of discussing radiation risks with patients; as a patient, you should be involved in a shared decision-making process. Unlike CT, an MRI does not use ionizing radiation. Therefore, it is a preferred method for the evaluation of children and for parts of the body that should not be radiated if possible, for example, the breast and pelvis in women. Instead, MRI uses magnetic fields and radio waves to obtain images. The MRI generates cross-sectional images in multiple dimensions—that is, across the width, length and height of your body. Injuries to the tendons and ligaments surrounding joints like the knee or shoulder. (A tendon connects muscle to bone in order to move the bone. A ligament connects bone to bone in order to stabilize a joint.) For example, a physician may order MRI if someone has signs or symptoms of a torn ligament in the knee. The MRI machines are noisy, and some patients feel claustrophobic during the exams. An oral sedative medication or use of an "open" MRI machine can help patients feel more comfortable. Because MRI uses magnets, the procedure cannot be done for patients with certain types of implanted metal devices, such as pacemakers, artificial heart valves, vascular stents or aneurysm clips. Some MRIs require the use of gadolinium as an intravenous contrast dye. Gadolinium is generally safer than the contrast material used for CT scans but can be harmful to patients who are on dialysis for kidney failure. Recent technological developments are also making MRI scanning possible for health conditions where MRI was previously not appropriate. For example, in 2016, scientists from the Sir Peter Mansfield Imaging Centre in the U.K. developed a novel method that could enable the imaging of lungs. The methodology uses treated krypton gas as an inhalable contrast agent and is called the Inhaled Hyperpolarised Gas MRI. Patients need to inhale the gas in a highly purified form, which allows the production of a 3D high-resolution image of their lungs. If studies of this method are successful, the new MRI technology could provide doctors with an improved picture of lung diseases, such as asthma and cystic fibrosis. Other noble gases have also been used in a hyperpolarized form, including xenon and helium. Xenon is well tolerated by the body. It is also cheaper than helium and is naturally available. It has been noted as particularly useful when assessing lung function characteristics and exchange of gasses in the alveoli (tiny air sacs in the lungs). Experts predict that nonradioactive contrast agents could prove superior to the existing imaging techniques and function testing. They provide high-quality information on the function and structure of the lungs, obtained during a single breath. Foray N, Bourguignon M, Hamada N. Individual response to ionizing radiation. Mutation Research-Reviews in Mutation Research. 2016;770(Part B):369-386. Hinzpeter R, Sprengel K, Wanner G, Mildenberger P, Alkadhi H. Repeated CT scans in trauma transfers: An analysis of indications, radiation dose exposure, and costs. European Journal of Radiology. 2017:135-140. Pearce M, Salotti J, de González A, et al. Articles: Radiation exposure from CT scans in childhood and subsequent risk of leukemia and brain tumours: a retrospective cohort study. The Lancet. 2012; 380:499-505. Rogers N, Hill-Casey F, Meersmann T, et al. Molecular hydrogen and catalytic combustion in the production of hyperpolarized 83Kr and 129Xe MRI contrast agents. Proceedings of The National Academy of Sciences of The United States of America. 2016;113(12):3164-3168. Roos JE, McAdams HP, Kaushik SS, Driehuys B. Hyperpolarized Gas MRI: Technique and Applications. Magnetic resonance imaging clinics of North America. 2015;23(2):217-229. doi:10.1016/j.mric.2015.01.003. Are You Interested In A Personal Health Record?